I make personalised patterns for my clients so that I get the most flattering fit to suit their silhouettes. I find making personalised patterns very rewarding! Seams perfectly contouring your body, the waist placed just so, sleeves the ideal length and not an out-of-place fold to be seen all go hand in hand with creating a personalised pattern. You have to consider things, like, what length of skirt suits the person best, does she want short sleeves or long sleeves and what is the most flattering shape for her silhouette. And the look needs to balance and be suitable for the particular occasion. And in personalising outfits considering the colour is very important with each individual having preferences in colour and shades of colour. It is thought that getting an outfit tailor made or customisied is very expensive, but is is now more affordable than in the past, offering people the opportunity to dress to best suit their particular style and figure. 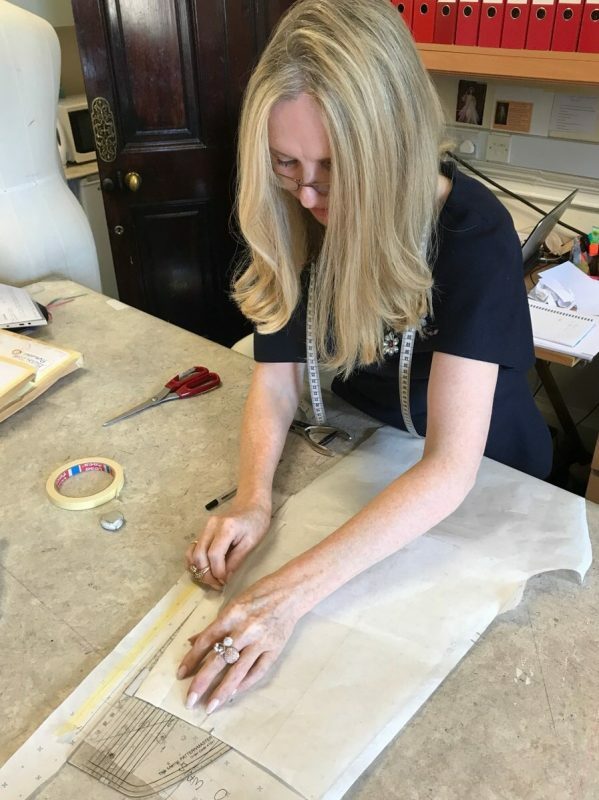 I have worked for many years making special patterns for my customers, and love to see the final garment made up to provide them with a great fit. Indeed, ladies often look slimmer, or taller and more elegant when they are wearing an outfit that they fell good in, and which is cut well. Quality fabric is also so important to ensure that the garment remains in good condition for longer. Designing and Tailoring are definately a skill that work hand in hand. There are fewer people making patterns on the table today as much of this is now computerised. While creating personalised patterns may be a dying art, there is no doubt that it is the perfect way to create the perfect pattern.